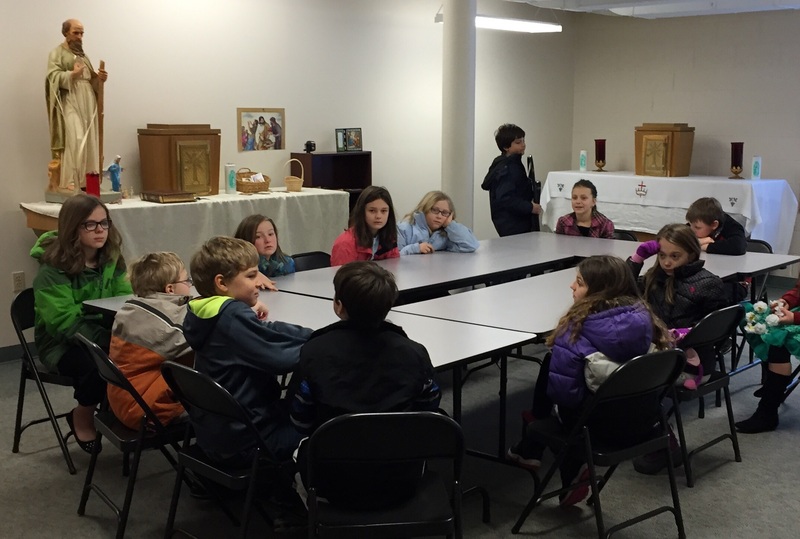 Little Church children share the Gospel message during 11:15 Mass. 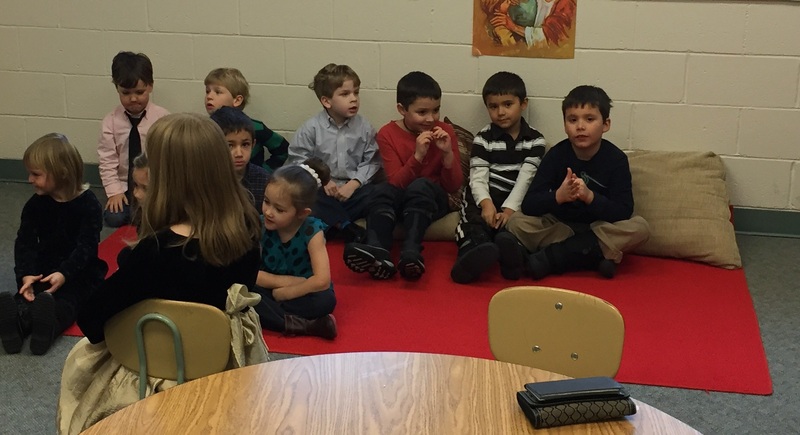 Below: 3rd & 4th Graders wait for class to begin. 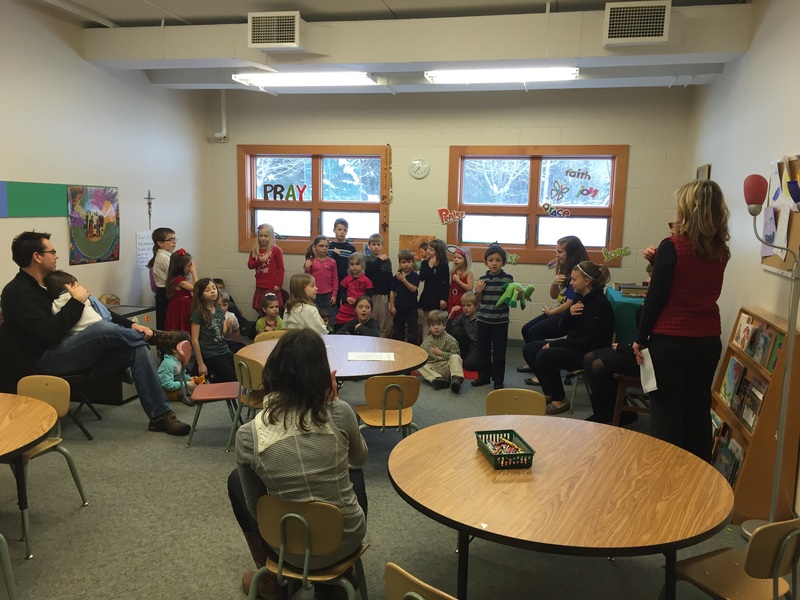 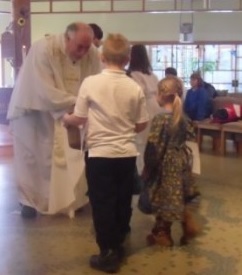 Children present the offertory gifts to Father Glenn.